Everything is maximized with the new Defiance X10 / X12 / X15 subwoofers. Output is massive, thanks to heavy-duty, internally-braced cabinets, and Active Ridge Technology (ART™) for maximum driver-excursion. Massive SPL levels are coupled with precision control, intense detail and vanishingly low distortion. Crafted in Canada, Defiance X outperforms every sub in their class. NEW! 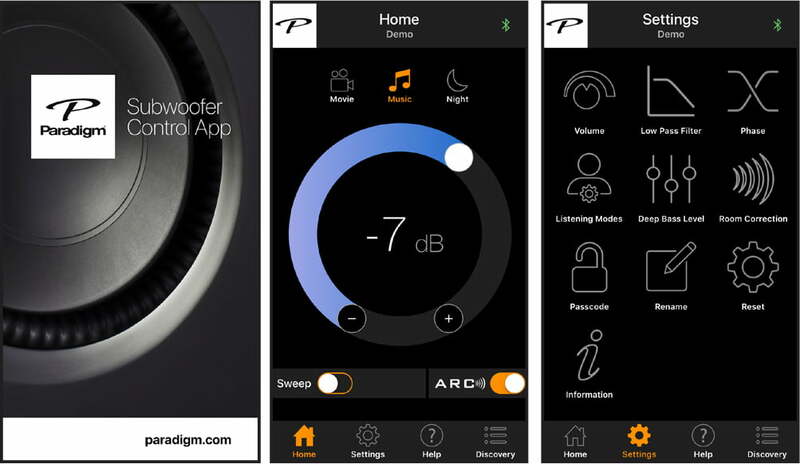 App Controlled*: Simplify setup & tuning with the free Paradigm Subwoofer Control App*, available for iOS and Android devices. Adjust volume, low-pass filter, phase, deep bass and much more from the comfort of your listening chair. It features three preset listening modes, and lets you remotely run the Anthem Room Correction (ARC®) process. Anthem Room Correction (ARC®): Using your mobile device or calibrated microphone (included with Defiance X models, sold separately on Defiance V models*), ARC measures your space, compares it to lab standard using proprietary advanced DSP algorithms, and instantly removes performance-robbing anomalies. The result is easy to hear: realistically blended, accurately rendered deep bass. Professional room correction at the touch of a button. 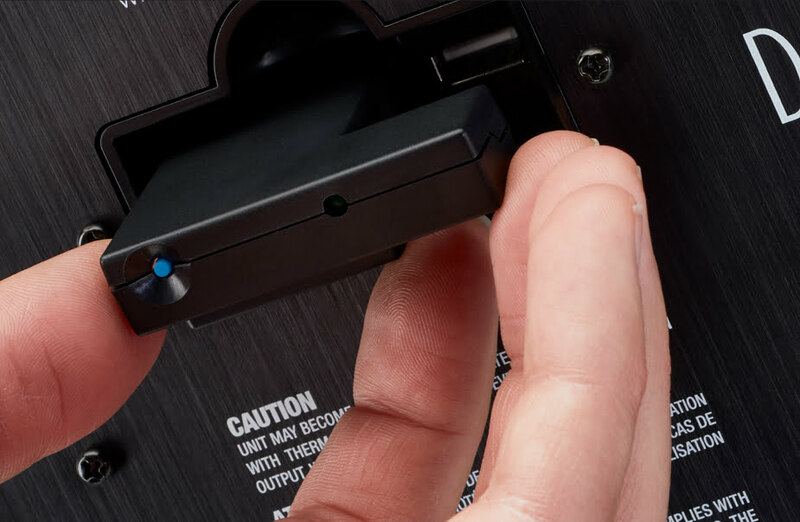 Optional Wireless Module: Place your subwoofer anywhere in your room, with no inconvenient cabling, and without sacrificing speed or performance. The Defiance WT Wireless Module* (sold separately) features fast and clear 2.4 GHz dynamic frequency selection with instant error correction and a 50ft range. Down Firing Ports: Tuned ports turn the floor into a tool for enhancing bass response, allowing more flexible placement options with no risk of turbulence or distortion. 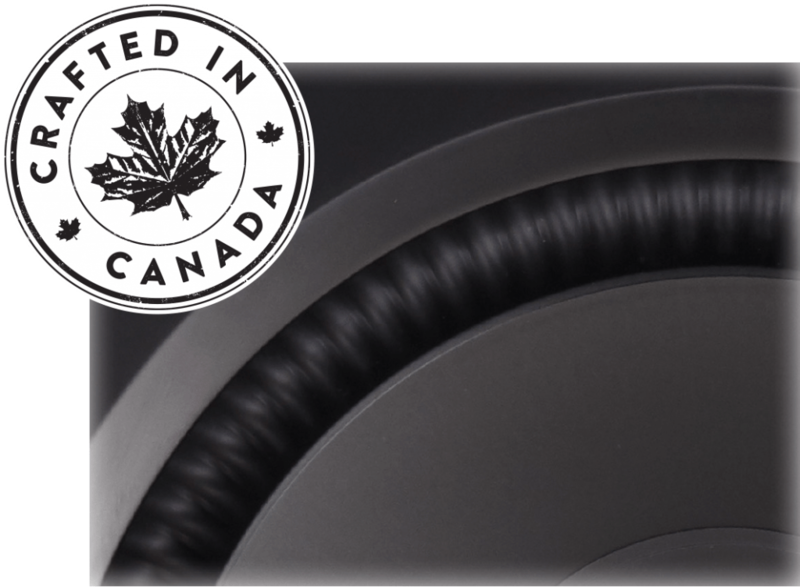 Built to Perform: Reinforced cabinet construction and vibration-killing driver design delivers deep, detailed bass. .
Crafted in Canada: All X Series subwoofers are designed, engineered and manufactured in our state-of-the-art 225,000 ft2 Canadian facility. Massive SPL Output: Defiance X feature more powerful amplifiers, with the X15 producing an impressive 900W RMS (1800W Dynamic Peak).